In this Lab you will log into the Amazon Web Services Management Console. You will use the console for Cognito to create a User Pool, register an application with the User Pool, create a job to import users into the pool (bulk-add) and add users manually. 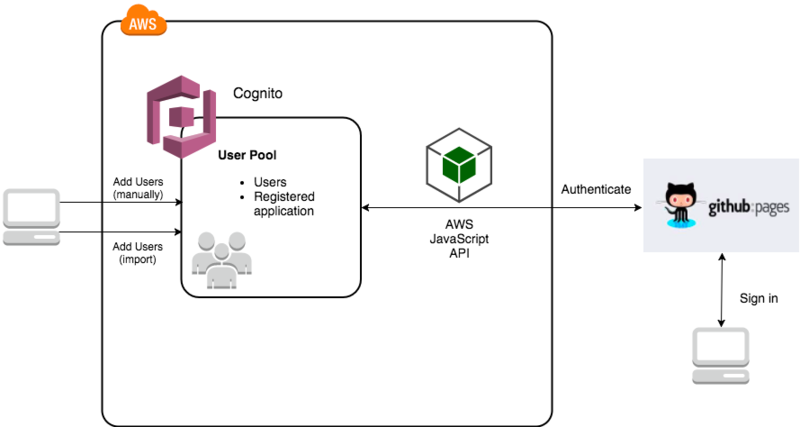 You will also use the Amazon SDK to test authentication of users you previously added to the pool.